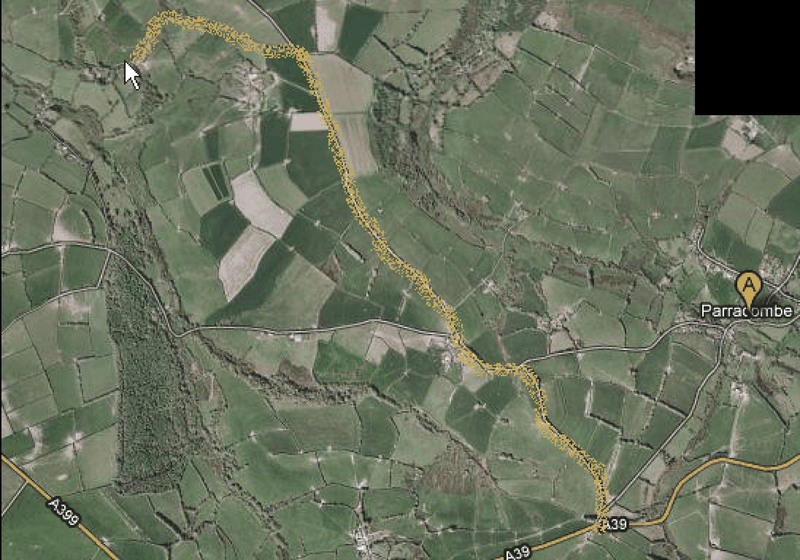 You can see the exact location of Voley Farm on these maps. Powered by Google maps you can easily find driving directions, times and distances from anywhere. 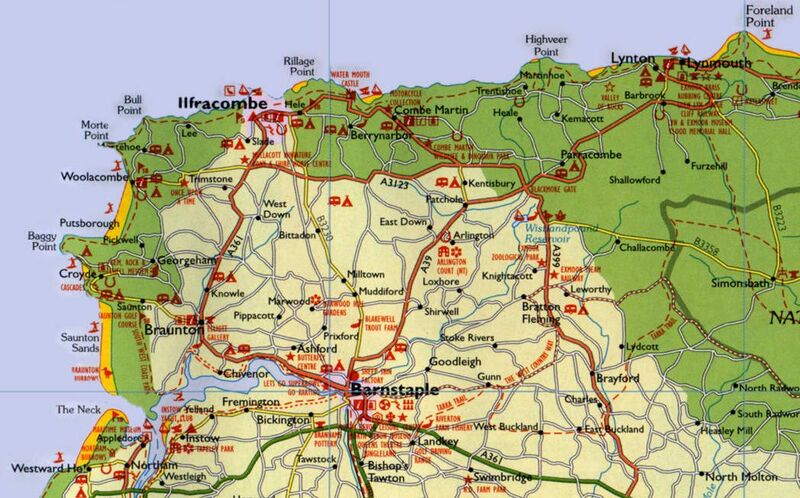 Leave the M5 motorway at junction 27 and take the A361 (North Devon Link Road) signed to Tiverton and Barnstaple. Follow signs to Barnstaple and South Molton. 2 miles after the South Molton turning turn right off roundabout onto the A399 tourist route signed Combe Martin, Ilfracombe and Woolacombe. After approximately 12 miles turn right at Blackmoor Gate onto the A39 sign posted Lynton/Lynmouth. Follow this route for about 1 mile, turning left at sign post to Parracombe but rather than going into the village turn immediately left 20 metres after coming off the main road. Follow the road for half a mile to a T junction and turn left. After 200 m, at a very muddy farm entrance, bear right, IGNORING SATNAV INSTRUCTIONS TO TURN LEFT, and continue for approx. 1 mile along this lane. The turn to Voley Farm is 150 m after West Middleton Farm (large sign); the lane is clearly marked by a slate sign low on the grass verge on the left hand side. Follow the half mile track down towards the bottom of the valley where the farm cottages, courtyard and car parking will be evident. Drive slowly to protect the underneath of your car and the wildlife! Please note this driveway is narrow and a bit bumpy, but perfectly passable; there are a number of passing places, but also some rainwater gullies which can catch the unwary.